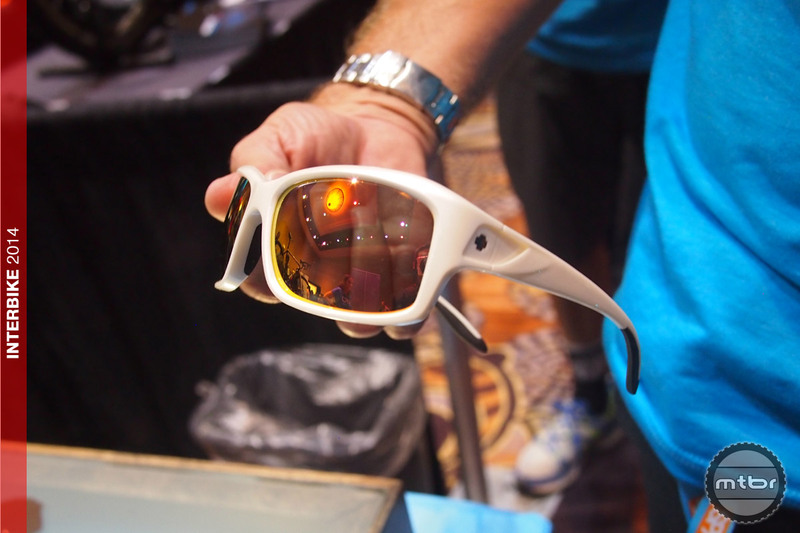 SPY Optic was on hand at the Interbike Preview show with some of their latest and greatest eyewear offerings. The Omen MX has an MSRP of $79.95-94.95 and comes in 12 different styles including a Justin Barcia edition and a Jeremy McGrath edition. 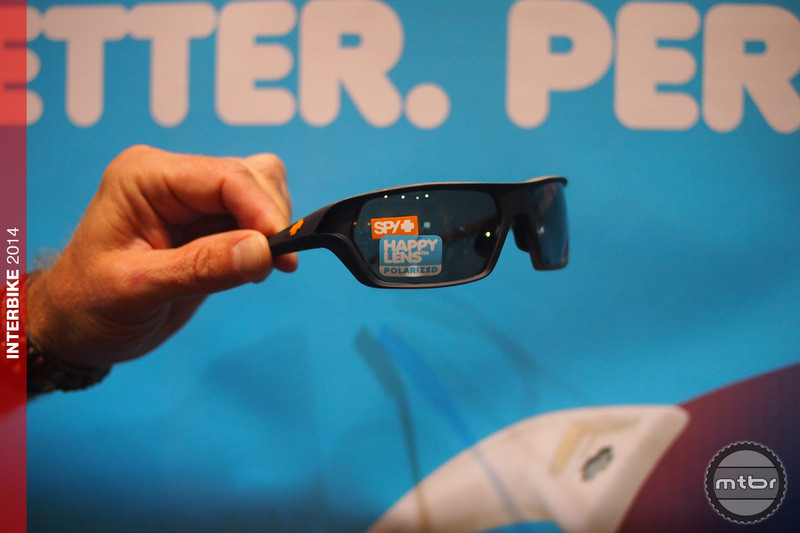 In this video from SPY, there is a short explanation of how the Happy Lens technology works. 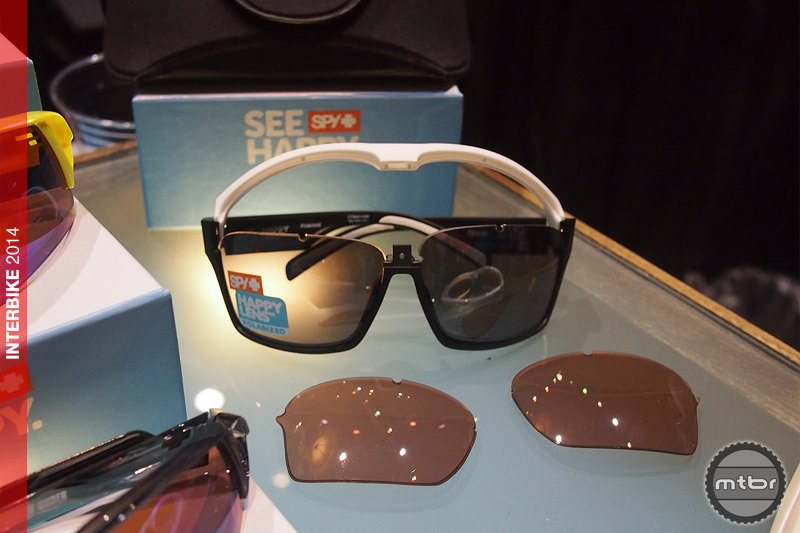 For the non full-face helmet wearer, SPY has a couple of other options from its Performance line of sunglasses. 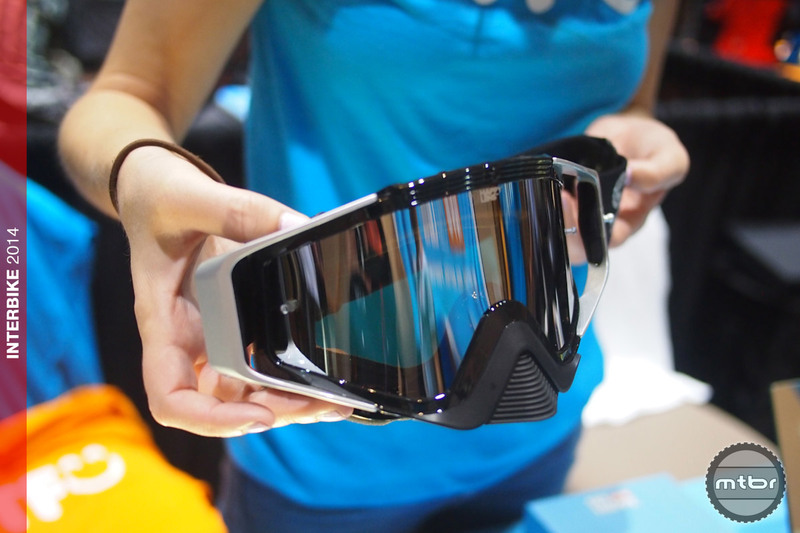 The Quanta is a less tech looking shade that is something that you can wear off the bike as well as on. If you want something a bit “racier” looking, SPY has 3 different models in their Screw line. Shown in the photo below is the Screw (top, in white), the Screw Over (middle, in yellow) and the Screw Under (bottom, in green). The Screw ($139.95-179.95) is the base model and is a “performance oriented and fog free” and features interchangeable lenses. The Screw Over ($139.95-179.95) is slightly larger and bolder, with a bit more wraparound. The Screw Under ($139.95-159.95) is slightly smaller for people with smaller faces (also popular with women). 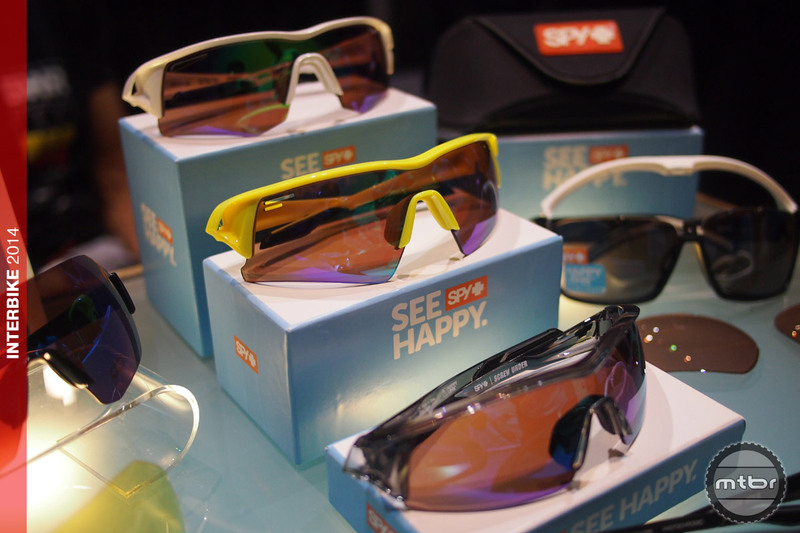 For more information or to order direct, visit spyoptic.com.